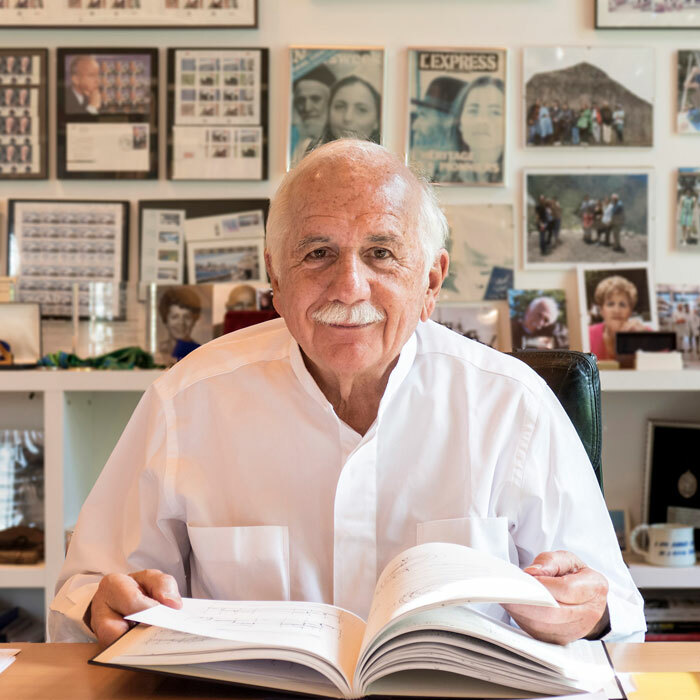 ­­Moshe Safdie, FAIA is an internationally renowned architect and urban planner. Born in Haifa, Israel, Safdie earned his architecture degree from Montreal’s McGill University. After apprenticing with legendary American architect Louis Khan, he returned to Montreal to oversee the master plan for the 1967 World Exhibition and realize his first built project, the seminal Habitat ’67. Deeply committed to the creation of an architecture that responds to local and regional characteristics of landscape, climate, cultural heritage, place and contemporary life, Safdie’s catalog of work and contributions to the dialogue on sustainable urbanism are unsurpassed in contemporary practice. His projects can be found in North and South America, the Middle East, the developing world and throughout Asia and Australia, spanning a wide range of typologies, including airports, museums, performing arts, libraries, housing, mixed use and entire cities. Many projects become beloved regional and national landmarks, including Yad Vashem Holocaust Museum, Jerusalem; United States Institute of Peace Headquarters, Washington, D.C.; Khalsa Heritage Memorial Complex, the national museum of the Sikh people in India; Crystal Bridges Museum of American Art in Bentonville, Arkansas; and Marina Bay Sands Integrated Resort, Singapore. Lauded as an influential theorist, author and educator, Safdie has published and lectured widely on topics such as Designing for Cultural Relevance, Humanizing the Megascale and The City After the Automobile. Following teaching appointments at Yale, McGill and Harvard, Safdie formed within his Boston office a research program in order to pursue advanced investigation of particular design topics. Past themes have included Tall Buildings in the City, Habitat of the Future and Mobility on Demand. Safdie has been recognized widely for his enduring influence on the built environment and has been the recipient of numerous awards, including the Companion of the Order of Canada, and most recently the 2015 AIA Gold Medal and the 2016 Lifetime Achievement Award from the Cooper Hewitt, Smithsonian Design Museum.